In today’s rapidly changing world, medical and healthcare services are becoming more complex. The role of a healthcare professional is being redefined and expanded to include more managerial and administrative responsibilities. When deciding on a school or program, you want a college that meets the challenges of the times. 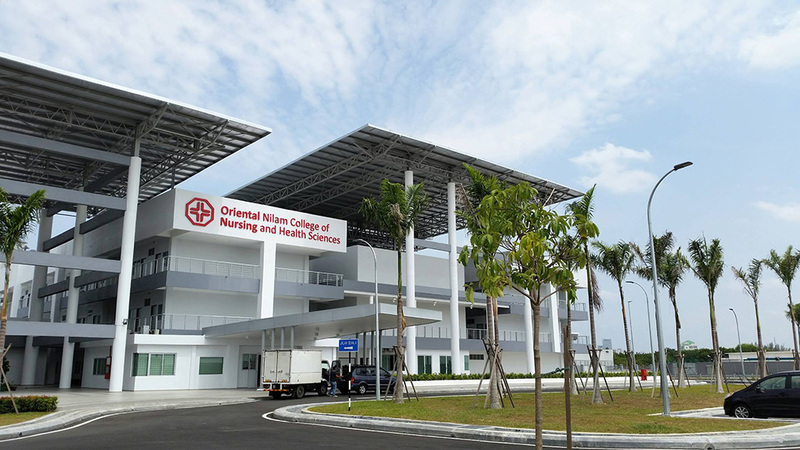 Oriental Nilam College of Nursing and Health Sciences is a specialised institution dedicated to provide affordable and quality education in the field of health sciences. We are committed to produce competent professionals conversant in all aspects of nursing and healthcare work. As we move towards the brand new year of 2015, we have relocated our operations and campus to a brand new site where more opportunities for expansion can be explored. Our mission is to provide quality education and training to prepare our graduates for life and work, equipping them to contribute to the healthcare, economic and social development of Malaysia and beyond. The new campus grounds provides the ideal environment to achieve that and we are focused on ensuring that students get the right inspiration and motivation to excel in their studies and enhance their knowledge. To learn more about us and the programs that we are offering, please Click Here.